[S11] Alison Weir, Britain's Royal Families: The Complete Genealogy (London, U.K.: The Bodley Head, 1999), page 123. Hereinafter cited as Britain's Royal Families. [S6] G.E. Cokayne; with Vicary Gibbs, H.A. Doubleday, Geoffrey H. White, Duncan Warrand and Lord Howard de Walden, editors, The Complete Peerage of England, Scotland, Ireland, Great Britain and the United Kingdom, Extant, Extinct or Dormant, new ed., 13 volumes in 14 (1910-1959; reprint in 6 volumes, Gloucester, U.K.: Alan Sutton Publishing, 2000), volume II, page 72. Hereinafter cited as The Complete Peerage. 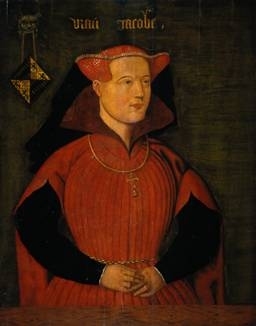 Elizabeth de Bourgogne-Nevers was born in 1440.2 She was the daughter of Jean de Bourgogne, Comte de Nevers et de Rethel and Jacqueline d'Ailly.1 She married Johann I Graf von der Mark Herzog von Kleve und Graf von Ravensberg, son of Adolf I Graf von der Mark Herzog von Kleve und Graf van Ravensberg and Marie de Valois-Bourgogne, on 22 April 1455. 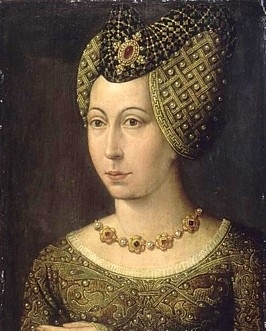 She died on 21 June 1483. He gained the title of Comte de Nevers.